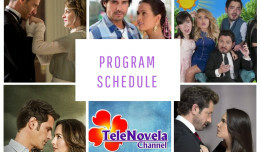 The Two Sides of Ana: Episode 15 | TeleNovela Channel - Bringing you closer to lifes drama. Police investigates Irene’s relationship with Otto while Irene’s interest in Ana builds up as she is out to look into Ana’s background. Meanwhile, Ignacio sees Ana at his wedding and gets enthralled by her.